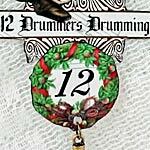 A sweet set of images (and tags with text, overlaid on sheet music) from the 12 Days of Christmas lyrics. This set also coordinates with the 12 Days of Christmas Collage Sheet. 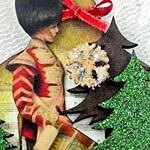 12 Days of Christmas Ornaments by Design Team Member Laura Carson.